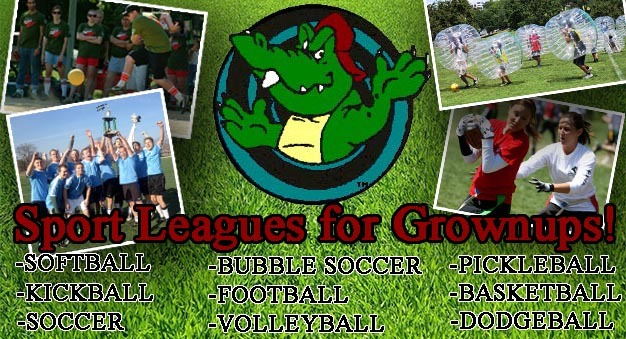 Since 1994, Sports Monster has been leading the country by organizing well run sports leagues, events and clinics. We are focused on YOU having a good time, which includes enforcing rules, starting/ending on time and providing prompt customer service. Just choose from any of the sports offered in your area and we will get you playing. Yes, even if you are signing up by yourself, we can get you playing. Full teams and groups are always welcome too. Select your city to start seeing what is available. All returning teams are GUARANTEED your same day/sport/location through the Prioirty Deadline. Even if you see Waitlist only and you are a returning team from the most recent season, register for Waitlist and we will make sure you get in. If you cannot register by the Prioirty Deadline, Standard Registration pricing will remain in effect until the start of the program or until it sells out, whichever comes first. If you manage a facility or park that is looking for a highly reliable organization to help you with either the operation of specific sport(s) or to help fill in open times, please contact us either by calling 614.443.0190 or e-mailing info@sportsmonster.net. You will find us to be up front, organized and running good programs. Plus, we have a 20+ year track record of paying facilities on time and in full! If you are a league organizer and looking to get some help with your program, we would like to talk with you. Sports Monster has over 20 years experience with back office operations and support you may be looking for to help either assist, transition, or grow your program. Please contact us either by calling 614.443.0190 or e-mailing info@sportsmonster.net.